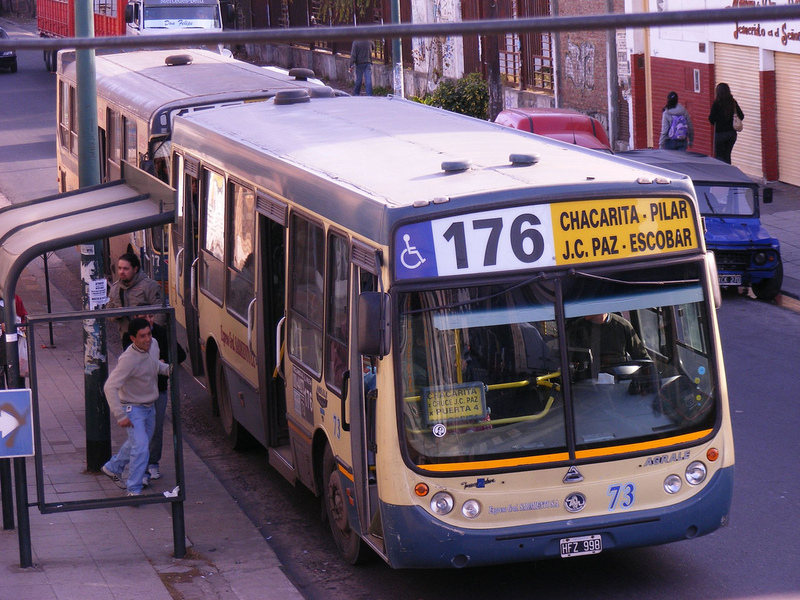 A bus in Buenos Aires, photographed in 2009. Photo by ag2078, via Flickr creative commons. Bergoglio’s reputation for personal simplicity also exercised an undeniable appeal – a Prince of the Church who chose to live in a simple apartment rather than the archbishop’s palace, who gave up his chauffeured limousine in favor of taking the bus to work, and who cooked his own meals. The riding the bus factoid is being widely reported by the media. I did a quick perusal of Google but haven’t found a photo. If you know of one, please leave a comment with a link and I’ll add it to this post. UPDATE: Here’s a photo posted on Facebook that appears to be the real thing. The Facebook page linked below has a picture of Pope Francis on a Buenos Aires bus. Looks authentic. He rode the bus, streetcar and the Metro in Buenos Aires. Here’s an interesting fact: The Pacific Electric Railway sold a number of its retired Red Cars to Buenos Aires, Argentina in the late 1950s after they were de-commissioned here. So it’s quite possible that the new Pope, in his younger years, rode the Big Red Cars!